The data provided by the International Trade Organization suggests that by the year 2030, there will be a massive surge in the number of people seeking to travel across the globe. The travel industry has seen continual growth since the cost of international travel has been falling for the past 20 years. Business investing expert Shane Perry from Maxfunding.com.au say’s, “The travel industry is a smart and generally safer market to invest into. Australia attracts great business investment from all around the world”. “It helps, having the tenth largest tourism market in the globally”. “Being located in the most popular region for international travel and the largest aviation market, Australia will continually secure large investments into the travel industry for many years to come”. In particular, it is estimated that by the year 2030, there will be approximately 9 billion people seeking to take about 2 billion trips internationally. The present trends indicate that there is, by far, more traveling by people and that the destinations keep expanding. Furthermore, it is reported that those who travel are now going further than it has traditionally been. There are many more signs that support the projections by the World Tourism Organization. Consequently, the travel industry has had to do more than what it has always done. It has had to embrace innovation. 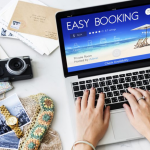 There is the obvious need to evolve from the travel agent mindset to a proactive industry that develops solutions for the present and the future. One of the most effective ways of embracing change and preparing for the developments in the travel industry is through the use of technology. The emerging consumer in the travel industry is savvy and ever prepared to embrace technology trends. The traveler in the modern day is exploring search engine technology, social media, apps, and aggregators. There is increasing need for tailor-made services that suit the needs of the individual. The current trends in the travel industry and other sectors across the globe signal to the fact that there is a need to conserve the environment. It is a fact that it’s through technology that the world was able to achieve an environment free from paper litter. It is not a wonder; therefore, that eco-tourism is a trending segment in tourism and travel. The use of recyclable materials is naturally becoming the norm, and a deviation from the norm is not only frowned at, but could attract fines from the authorities. Many jurisdictions have enforced laws that protect the environment from any further pollution. These laws tend to lay particular emphasis on the travel and tourism sector. Therefore, green business practice is a new development in the travel industry that no serious travel and tour entity can afford to take for granted. Many airlines have transformed from the old systems that required clients to physically report to booking offices to pick their tickets. The online platform is now the platform of choice for most progressive airlines. Travelers can search and choose the carriers they want. 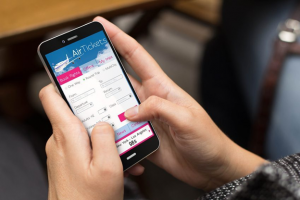 It is through the use of such platforms as the internet and online booking platforms that the travel industry has eliminated the use of paper tickets. The technology has not only reduced the cost of travel but helped in protecting the environment. The convenience of placing orders and booking from the comfort of one’s office, living room or bedroom has revolutionized the industry technology-wise. Such technologies have had the bonus of attracting more people to travel and, indeed, increased the efficiency of airlines. 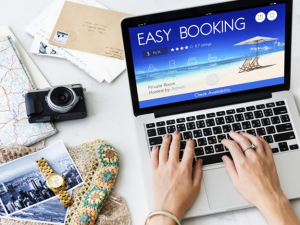 The fact that one can book their air ticket online and even cancel it via the same means that the cost of travel is significantly reduced. One does not need to travel all the way to airline offices, hence saving on taxi fees and the time it would need to do so. Also, the airline no longer needs to set up physical space and structure to attend to its customers. Everything is done in the virtual space, consequently, significantly reducing the running cost. Furthermore, airlines no longer need as many human personnel as they did in the past, before the digital era. All these cost-saving technology interventions trickle down to the consumer. 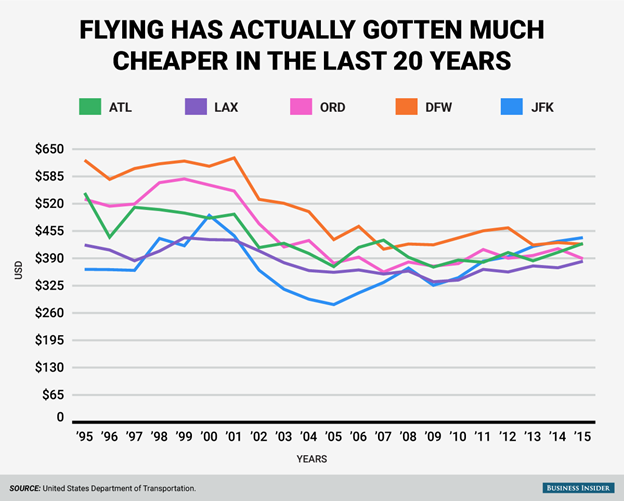 The result is that travelers will pay less for more, better and efficient travel services.